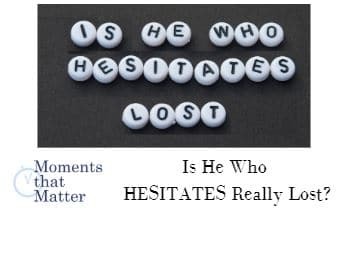 Home Videos Moments That Matter VIDEO: Moments that Matter – Is He Who Hesitates Really Lost? 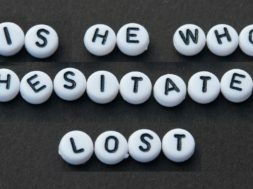 VIDEO: Moments that Matter – Is He Who Hesitates Really Lost? Life’s biggest problems can begin with some of its simplest choices. 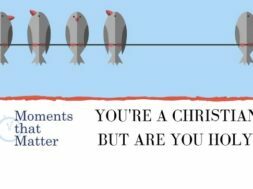 The story of Lot teaches us that even righteous people can just miss the mark by compromising what they know to be right. Watch this short vlog then listen to the full podcast of the same name. previous VIDEO: CQ Kids - How Can We Fight Fear?